Explore the Best Audiobooks of the Year! by Mary Pipher | Read by Suzanne Toren Audible, Inc. The year’s best audiobooks — all in one place. View our 2018 E-Zine — fully loaded with reviews of 50 titles, sound clips, and exclusive narrator videos. 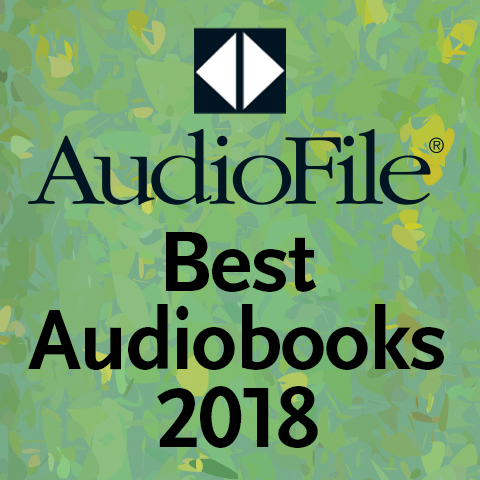 Explore AudioFile’s blog & bloggers: Behind the Mic Videos, Robin’s Roundup, Aurelia’s Audio Adventures, Audiobooks & Literacy, Tease: Romance Favorites, and Solve: Mystery Favorites. Clips & conversation about audiobooks with AudioFile editors. Give us 4 minutes and we'll give you a recommendation for your next great audiobook! The gold standard for audiobooks: Earphones Awards are given to exceptional titles that bring you the best possible listening experience. The best audiobook narrators can simply lift it all of the page delighting listeners. Explore these great voices. Find the latest reviews and recommendations in Fiction, Mystery & Suspense, Romance, Contemporary Culture, Young Adult, and more, updated weekly.